We may collect your information when you indicate that you would like to receive any of our products and services, when you register with us, when you complete forms online, when you speak with us over the telephone, when you write to us and when you visit our website. We will collect details of transactions you carry out through our site and of the fulfilment of such transactions. We use your information so that we can supply you with our products and services which you use or have requested, by passing your details to selected and approved partners we work with. We also use your information to notify you about changes or developments relating to our products and services which you use or have requested. We may use your information to review, develop and improve our products and services; to help identify products and services that may be of interest to you; for statistical research and analysis; and, if you do not indicate that you do not wish your data to be so used, for direct marketing purposes. We may use your information to send you information concerning products or services which you use or other products or services which we think may be of interest to you. This may include information concerning promotions or offers which could benefit you. If you would prefer not to receive information concerning products or services which we think may be of interest to you, including special offers and promotions, then please indicate by ticking the relevant box when prompted or thereafter please contact us to update your preferences. We may use your information to send you information concerning products or services provided by our carefully selected partners where you have asked us to do so. To change your marketing preferences please email us, here. You are entitled to change your marketing preferences at any time. The Internet is not a secure environment. While we take reasonable measures to keep your information secure, we cannot guarantee your online data security. We are not liable to you for any loss of data, injury or harm which occurs to you as a result of the transmission of your information over the Internet, unless this occurs as a result of our negligence or wilful misconduct. Cookies are small, often encrypted text files, located in your internet browser and are used by most websites. We use them to help personalise your web experience, ensure you can navigate our website efficiently and perform certain functions. Due to their core role of enhancing or enabling usability or site processes, disabling cookies may prevent you from using certain parts of this website. It will also mean that some features on this website will not function if you do not allow cookies. You are not obliged to accept cookies that we send to you and you can modify your browser so that it will not accept cookies. You should follow the instructions in your browser (usually located within the “Help”, “Tools” or “Edit” facility) to enable or disable cookies. Solarconnect connects you to solar energy providers. 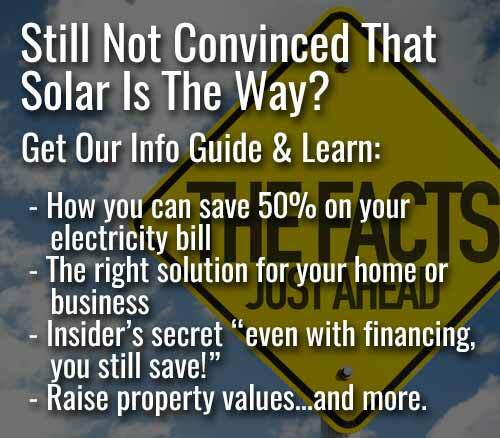 You can choose to opt for financing, or get a quote on a solar installation. Start saving today, go solar!